Direct fit 1987-90 for most Softail® models. Front mufflers part # 65669-86. 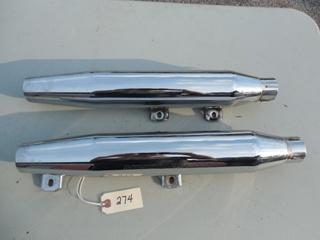 Above part # also good for 1986 FXR models. Rear muffler part # 65380-85.